As schools struggle to teach all students, the multi-age teaching and learning framework has emerged as one of today's most effective ways to structure schools. 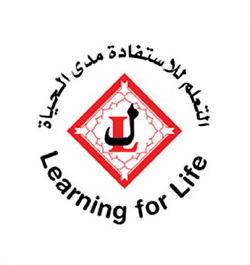 Multi-age Learning Community (MAC) Program is a professional development program in action. 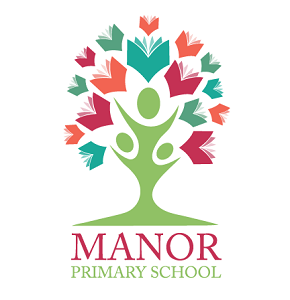 It presents a framework that can transform schools from a graded system to a multi-age learning environment. 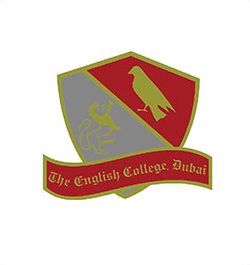 This multi-age school targets students' individual and personal needs and allows students to excel and succeed. The school reform climate today focuses on schools of choice and building effective school environments. 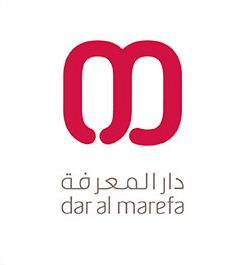 This multi-age program creates a unique school niche that is marketable to families. Parents have the option of sending their children to schools that concentrate on achievement that best meets the needs of the learner without disrupting the mandates of the curricula. This book is intended to assist educators at all levels of all school organizations, as well as give policymakers, educators and parents the information on an effective school program. 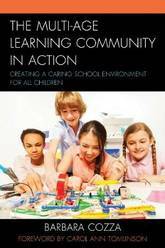 This book gives information on how to transform schools into multi-age classrooms. This book is divided into four parts that explain both the theory and the practice of effective strategies for the multi-age school program: Organizational Practice, Building Culture, Learning Processes, and Assessment and Systemic Improvement. There are specific basic principles and practices that are integrated into a quality and effective framework discussed in the chapters of this book. Each chapter begins with a vignette based on my experiences in multiage schools and concludes with an educator's reflection to recap the concepts in the chapter. Each chapter also integrates snapshots that are short real-to-life passages that bring to life concepts discussed in the chapter. Although this book discusses multi-age schools, these ideas may be applied to all school environments. To accommodate all school programs, at the end of each chapter, a section titled Application for All Schools is a framework that discusses just how to apply chapter concepts in any school or classroom program. It is recommended that the reader review the book one time in sequence and then reread each chapter as needed, to give meaning to the reader's purpose. Good teaching does not just happen during classroom instruction. The instructional design practices teachers participate in outside of instruction can have impact on potential learning opportunities that take place during class time. Lesson planning is one of those practices that can improve a teacher's instruction; however, it needs to be supported. Although there are a plethora of lesson plan models to assist teachers, there are no concrete strategies to help principals, teacher educators and mentors give constructive feedback on lesson plans that can impact teachers' content, pedagogy or classroom management. 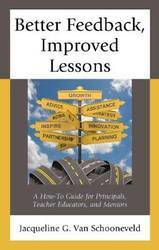 This book addresses it, and provides specific strategies that supervisors can use. The goal is to use lesson plans as an educative tool. What do children's interactions on the playground have to do with foreign policy? How does science understanding in middle school relate to environmental disasters in third world countries? The causal patterns that we detect and how we act upon them pervade every aspect of our lives. These skills will only become more important in the future as our world becomes more global and more interconnected. Yet we aren't very skilled at thinking about causality. Research shows that instead we rely on limiting default assumptions that can lead to poor choices in a complex world. What can we do about it? This book offers ways to become aware of these patterns and to reframe our thinking to become more effective learners and citizens of the world. 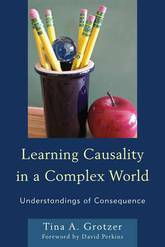 Through examples and accessible explanations, it offers a causal curriculum to enable more effective learning so that we can put the power of better causal understanding to work for ourselves and the next generation- for today and tomorrow. This book joins experts in the field in a conversation focused on raising the level of instruction in schools in ways that validate all learners' realities. This book is for educators who wish to advocate for students' right to literacy. Chapter authors believe that educators must honor all learners' languages, seek to understand every student's funds of knowledge, and acknowledge English learners' cultural capital. They examine literacy as cultural and social phenomena. They link theory to teachers' practice in an easy to understand tone. 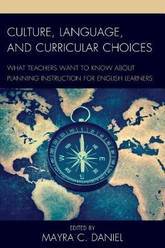 This book is written for teachers and school administrators who know that the schoolhouse must attend to the educational needs of a student demographic that is plurilingual and pluricultural. It is for educational leaders who want to encourage EL expertise and leadership at all levels. Those facts. Those dates. Those four walls. Those still and petrified fossils of traditional history courses. Sure, it's history, but do we have to turn to tradition for guidance? Let's make it worth the students time. Let's give them something to take beyond their high school experience. Let's reboot history. The goal of the social studies is to provide students with the tools necessary to be active and productive citizens. History teachers need to assist their students in developing problem-solving skills for real-life scenarios, and this can be done whether we teach students about Ancient Athens or modern Akron, Ohio. 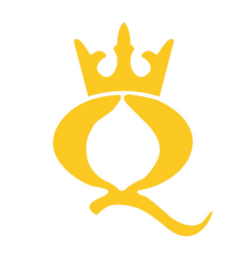 The ancient Mediterranean, the Italian Renaissance, and the British East India Company are very distant concepts, far from what our students find as relevant. The same skills can be acquired by studying something nearer to the students' interests and everyday life. So, take a moment to take a step back from the history curriculum, and ask yourself: What skills will my students need in five years? 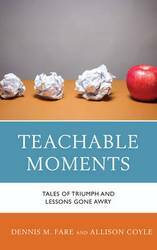 Teachable Moments will look at various pieces of the vocation of what it means to be a teacher in our school buildings today - through all of the most impactful reforms on the fabric of American education. As administrators, we see the push for the need to create data tables and pie charts in an attempt to make conclusions about improving instructional practices to encourage student performance. Some things - many moments - cannot be quantified, however. So, where do we begin? There is absolutely no singular starting point, but the experience of the teaching practitioner is vast, and goes far beyond that which can be measured numerically. Our vocation, and its many ups and downs, often cannot be assigned a neat number. 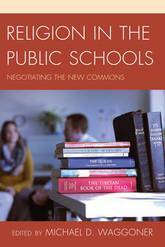 This book will examine the ways in which school districts approach these educational changes, through the lens of the teacher. 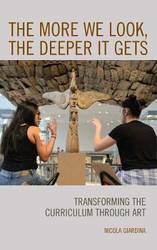 From one-on-one teacher interactions with each other, to those memorable moments with students, this book will be a collection of rich essays that capture the experience of the newer teacher. In the wake of initiatives such as No Child Left Behind and the use of high-stakes testing, the emphasis in schools has been on drill and practice for the test. Genuine understanding and critical thinking have been increasingly shortchanged. As a result, students have fewer opportunities to advance their insight into cognitive and emotional challenges, even though both teachers and parents recognize the importance of developing deliberative and reflective thinking skills. This book uniquely combines two things. First, it provides resources for classroom teachers in middle and secondary school that make it possible to, at a moment's notice, take advantage of a teachable moment by drawing students into productive intellectual discussions. 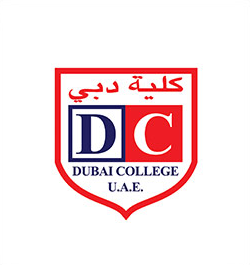 Second, it gives the reader an overview of the rationale and the research base for engaging students in educational activities that are truly intellectual and that are not limited to training for testing success. 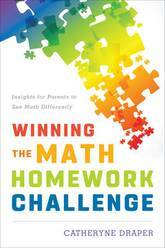 Winning the Math Homework Challenge shares students' reasoning, thinking, and even misunderstandings about mathematics to provide you with the opportunity to see math through their eyes, including both the clarity and the confusion. Armed with this new sight, and therefore insight, parents will be able to effectively communicate with their child about math experiences. This book focuses more on the why behind math relationships, explained in plain English and through images that show mathematical relationships. 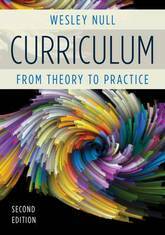 This updated second edition of Curriculum: From Theory to Practice provides an introduction to curriculum theory and how it relates to classroom practice. 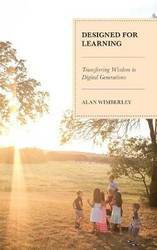 Wesley Null builds upon recent developments while at the same time continuing to provide a unique organization of the curriculum field into five traditions: systematic, existential, radical, pragmatic, and deliberative. 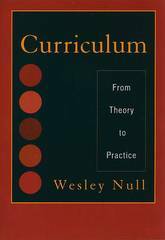 Null discusses the philosophical foundations of curriculum as well as historical and contemporary figures who have shaped each curriculum tradition. To ensure breadth and scope, Null has expanded this second edition to include figures not present in the first. Additionally, after a chapter on each of the five perspectives, Null presents case studies that describe realistic and specific curriculum problems that commonly arise within educational institutions at all levels. 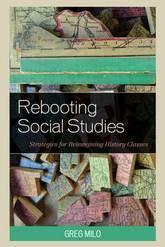 Scholars and practitioners alike are given opportunities to practice resolving curriculum problems through deliberation. Each case study focuses on a critical issue such as the implementation of curriculum standards, the attempt to reform core curriculum within universities, and the complex practice of curriculum making. In the final chapter, Null offers a vision for the curriculum field that connects curriculum deliberation with recent developments in moral philosophy. Today's curricula can (and should) incorporate critical thinking methods because they are the means by which people best understand, learn, and retain higher level concepts. Contrary to what many professional trainers assume, teaching critical thinking is not achieved by shoveling facts at an audience through lecturing or multiple choice testing. It requires sustained, finely tuned teaching and assessment methods. This book lays out a blueprint to do just that. 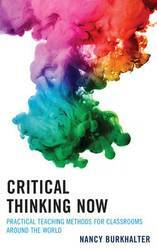 Specifically, it outlines the necessary components of a critical thinking classroom and provides assessment techniques and ample exercises adaptable to any student's field, age, or level of education. Often not considered are those learners schooled in a non-Western culture and not proficient in the presenter's language. These audiences can create invisible barriers to instruction. Without understanding these pitfalls, trainers invite frustration and failure, and risk wasting everyone's time and money because they were unaware any problem existed. 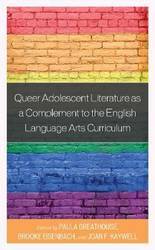 The book addresses these linguistic, cultural, and cognitive obstacles and suggests several solutions, whether you teach these students on your home turf or theirs. 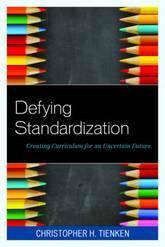 Defying Standardization pierces the veil of misinformation surrounding the push to standardize the curriculum expectations for 56 million public school children. It provides a high energy, passionate, and, well-researched argument of what curriculum should and can be to facilitate the development of unstandardized skills and dispositions necessary for a globally connected society. Thinking through Writing demonstrates that thinking skills are taught best through writing. All parts of the brain and all types of learning styles are used in writing activities, simultaneously developing thinking skills. These skills are invaluable in linking student experience and new information, incorporating content knowledge and exploring ideas and solutions. 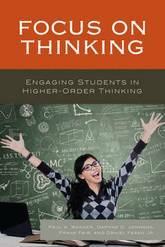 This book provides an example of a writing course, illustrating how thinking and writing converge, and is addressed to college instructors, although it would be useful for instructors on any educational level. 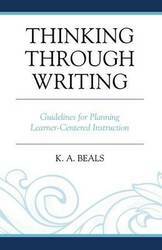 The elements, examples, and guidelines for planning learner-centered instruction and positive assessment practice increase student engagement through writing activities, applicable in all content areas. Top-down mandates concerning the curriculum of the school leave no room for program creativity and program commitment. Yet principals and teachers are held accountable for student achievement results. Constitutionally, powers not granted to the United States are reserved to the States or to the people. 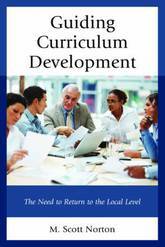 The book's primary purposes center on the need for placing the responsibility for determining student curriculum and academic achievement the local school level whereby school personnel determine the individual student's personal interests and needs and design a curricular program for each student that fosters personnel success. The creative abilities of teachers are inhibited in attempts to implement top-down mandates that set forth academic content and instructional methods set forth by federal and state agencies. If learning programs and instructional methods are to be designed to meet the individual interests and needs of the learner, who is in the best position to determine such needs? We believe that the social, mental, and physical needs of children and youth are determined best by local educational professionals. This book sets forth the foundations of practice that will serve these purposes. Personalization of learning and instruction is the most critical issue facing contemporary education_not state testing or vouchers or even aging schools. Personalization is an attempt on the part of a school to take into account individual student characteristics and needs and flexible instructional practices in organizing the learning environment. 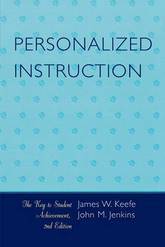 This book presents the conceptual rationale for personalizing instruction, provides twenty working strategies to assist schools in redesigning themselves for personalization, and cites specific examples of personalization in the subject disciplines and in selected schools. This second edition expands the discussion on personalization, updates the sections on instructional strategies, assessment, and grade reporting, and cites new developments in the disciplines and in the schools. Algebra is the language that must be mastered for any course that uses math because it is the gateway for entry into any science, technology, engineering, and mathematics (STEM) discipline. This book fosters mastery of critical math and algebraic concepts and skills essential to all of the STEM disciplines and some of the social sciences. This book is written by practitioners whose primary teaching subject is not math but who use math extensively in their courses in STEM disciplines, social science statistics, and their own research. 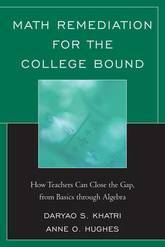 Moreover, in the writing of this book, the authors have used the teaching principles of anchoring, overlearning, pruning the course to its essentials, and using simple and familiar language in word problems. 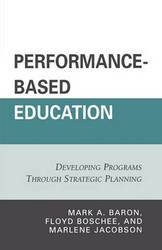 Performance-Based Education: Developing Programs Through Strategic Planning is a unique resource written for educational leaders who want to successfully restructure and enhance curriculum in schools today. This book provides a plethora of innovative and successful curriculum ideas, including end of chapter applications, case studies, and case discussion questions. Also interspersed throughout the book are tried and true strategies that arm administrators with innovative ideas on meeting state and national standards. Since September 11, 2001, the profile of religion's role in our global society has increased significantly. Religion has long been a force in people's lives as numerous studies and polls show, yet we continue to struggle with understanding differing religious traditions and what they mean for our common life. There are few places where Americans can meet together to learn about each other and to share in the common construction of our futures. One such place for many is public education. The purpose of this book is to illustrate the complexity of the social, cultural, and legal milieu of schooling in the United States in which the improvement of religious literacy and understanding must take place. Public education is the new commons. We must negotiate this commons in two meanings of that term: first, we must come to mutual understandings and agreement about how to proceed toward a common horizon of a religiously plural America; second, we must work our way through the obstacles in these settings in practical ways to achieve results that work. 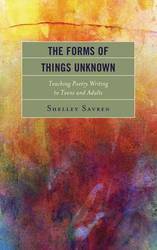 The Forms of Things Unknown: Teaching Poetry Writing to Teens and Adults draws from Shelley Savren's forty years of teaching poetry writing to a diverse array of students, from teens with mental health issues to seniors to adults with developmental disabilities. Designed for use in a classroom or community setting, this book features forty-one lesson plans and nineteen more poetry-writing workshop ideas and provides guidance and inspiration for teaching poetry writing to teens and adults. 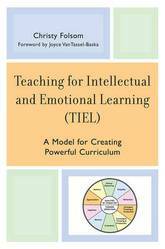 Teaching for Intellectual and Emotional Learning (TIEL): A Model for Creating Powerful Curriculum will help teachers and teacher educators meet their goals of mastery in basic skills and content knowledge as well as intellectual and social emotional development. Sharing the experiences of real teachers who changed their teaching and helped their students understand their learning and develop skills of self-direction and collaboration, Folsom introduces a powerful visual model that helps teachers develop standards-based curriculum that includes social-emotional learning.